Many people in our modern cultures have only a vague or non-existent knowledge of history. This is especially true of Americans. The downside of such ignorance should seem obvious. Most modern Christians have very little acquaintance with Christian history – and strangely – even less with modern Christian history. Though some might be aware of the Seven Ecumenical Councils, or even the Great Schism, they know almost nothing about American Church history over the past two-centuries, much less the utter dominance that history has in much of present-day Christianity. I offer three examples coming from that history – with the general point that many things people take for granted (within Protestant, Catholic and even Orthodox circles), have a very questionable origin, and in some cases represent a hijacking of the Christian gospel. The importance of evangelism is taken as an essential element of the gospel by virtually all modern Christians. The importance of “sharing the faith” would be met with universal agreement – even if the content of that faith would not. Strangely, evangelism was not a common topic in Christian writing and discourse prior to the 19th century. A revolution in evangelism took place as a result of two religious movements: the First and Second Great Awakenings. The First, beginning in the mid-18th century in both Europe and British America, was largely confined to Churches and represented a movement of renewal and “enthusiasm.” It emphasized the importance and power of immediate, personal religious experience. Many aspects of this movement (particularly the “Whigs” in British political life) eventually brought about a transformation of culture in addressing many social ills (slavery, women’s suffrage, alcoholism, etc.). The movement challenged the established Churches. In New England, Congregationalist Churches saw 98 schisms within this period, as divisions between “New Lights” (those who favored the new preaching and the emotional quality of religion) and the “Old Lights” (traditionalists who preferred a more doctrinal, sacramental approach) fell out with one another. At the same time, non-establishment groups, such as the Baptists, began to multiply across the Southern colonies at the expense of the more establishment-minded Anglican and Presbyterian Churches. The Second Great Awakening, beginning in the early 19th century, turned more strongly away from established Churches. It’s revival-style preaching was, in many respects, “para-Church,” often having no association with any particular denomination or parish. Many of its leaders, though nominally ordained within denominational structures, operated independently. Large revivals and “Camp Meetings” were a hallmark of the movement. Those groups that were able to conform themselves to the shape and content of the movement benefitted greatly (primarily Baptists and Methodists). Both movements shared a growing theology of personal experience. True Christianity was increasingly identified with a describable experience, marked by strong emotion, a deep sense of personal sin, and a confidence in God’s forgiveness. Sacramental theology was devalued in the extreme (hence the rapid growth in Churches practicing adults-only Baptism). The First Great Awakening had as its “target” audience, those who were already “churched.” The Second focused more strongly on the “unchurched.” Para-church revivals and tent meetings quickly gave rise to new frontier Churches. New denominations arose (the Restoration Movement is a notable example). The result was a new imperative for the Christian: evangelism. The proclamation of the gospel now meant the proclamation of a message geared towards a specific experience with a specific result. The audience included both the churched and the unchurched. The social movements associated with these revivals were interpreted as manifestations of the Spirit. Revivalism, in a wide variety of forms became the hallmark of modern Christianity. The variety of “renewal” programs across Protestant denominations is almost legion. The mega-church is specifically designed by modern revival technology and media-savvy. The Roman Catholic Church has a history of revival within its own modern history. The charismatic movement within Catholicism as well as Cursillo and other efforts (regardless of their Catholic origin) make use of revival-inspired technique. The missionary imperative that has become a standard in modern Christianity was certainly a major part of the life of the early Church. Every reachable continent was evangelized. The Church in Ethiopia is Apostolic in origin. The Church of Georgia and Armenia as well as Ireland and Scotland point to mission beyond the bounds of empire. Nestorian Christians had a very significant presence in China in the latter part of the first millennium. The Church of India traces its origin to St. Thomas the Apostle. Missionaries traveled, proclaimed the gospel and often died as martyrs as part of their efforts. In the Colonial Age, mission took on another role. Missionaries became tools for “civilization” as well as supports for the spread of empire. On occasion these efforts created some of the saddest points in Christian history. The evangelization of Native Americans comes especially to mind (in contrast with an almost ideal evangelization of Native Alaskans by the Russian Orthodox). America made its own contribution to this period. The 19th century was both a time of “revival” in American Protestantism, but also a time of American expansion across the world. The Monroe Doctrine (1823) declared the Western Hemisphere to be America’s sphere of influence, exclusive of European powers. The same doctrine led to the war with Spain at the end of that century and the acquisition of the Philippines, Guam, Puerto Rico and Cuba (for a time). Protestant denominations in America began missionary work in Central and South America early in the 20th century. Articles from that period document the clear understanding that Protestant mission work had a political objective as well: Catholic countries were considered incapable of democracy. Protestantism alone would produce democratic results. That same missionary imperative has slowly born fruit with Evangelical and Pentecostal movements spreading rapidly in formerly Catholic cultures. As American globalism spreads, so American forms of Christianity spread. Contrary to modern Orthodox conspiracy theories, ecumenism was not invented in the Vatican. It was invented on the frontiers of 19th century America. The Second Great Awakening was largely a para-church movement. It did not take place within denominational structures – if anything it created more denominations. It was the single most entrepreneurial moment in all of Christian history: anybody could have his own denomination! But the phenomenon of common experience created a new question and a new anxiety. Why were Christians divided? Why, if they could meet on common ground in a common experience were they not together in a common Church? The result of this anxiety was an explosion of solutions. The Restoration Movement (origin of the Churches of Christ, Christian Church, etc.) was one solution. It sought to create the “New Testament Church” through a strict application of sola scriptura and reason. Created as a rallying point with a view to uniting all Christians, it produced its own set of denominations. Cult-like solutions arose as well. Mormonism comes from this period. The heart of its message was a “fresh start” for the Church. God makes a prophet out of a huckster in New York State, shows him golden tablets with magical spectacles, ordains new apostles, etc., and re-creates the Church. It was bizarre, but its success demonstrates just how bizarre the American frontier became (and still is). The same foment produced Adventism, Jehovah’s Witnesses, etc. None of these solutions relieved the ecumenical anxiety – they only increased the problem. The drive for mission created a different solution. A good measure of the work done in “foreign” mission fields had ties to the revival movement. This included a strong representation of non-denominational mission agencies. The threadbare theology of the Second Great Awakening saw denominational polity and doctrine as a stumbling-block for mission and coordinated efforts. The 19th century saw a growing popularity of large conferences organized to promote and coordinate Protestant Christian missions. The World Missions Conference in Edinburg, 1910, was considered the crowning achievement of these meetings. That conference became the springboard to the eventual creation of the World Council of Churches. Such groups as the YMCA and the Student Christian Movement were major players in these meetings. The Protestant Evangelical consensus, in which doctrinal differences were minimalized and common efforts for the “conversion” of non-Christians maximalized, were typical of this work. The missions effort included a strong sense of millennial expectation (the watchword was ”The Evangelization of the World in This Generation”). That same urgency was a driving force in ecumenical thought. The work of world mission was too important for the confusion of denominations. Unity was a requirement for the Great Commission. The missions movement was not uniquely American, but the simplicity and drive that characterized it were born in the American revival movements. The same urgency that powered early ecumenism continues to drive modern Evangelicalism. Mainline Protestant denominations have largely lost themselves in the eddies of these forces. Evangelism and Renewal have generally become programs for the general morale, ecumenical anxiety has yielded to ecumenical bureaucracy and institutionalism, missions have often been replaced with political action. But the legacy of these Americanized Christian ideas remains very powerful. The drive for evangelism in its modern form was always somewhat heretical. The gospel was mutated into a Churchless Christianity, devoid of sacrament and structure. This minimized gospel was easily and quickly adaptable to various cultural needs, but for the same reason, completely vulnerable to cultural forces. Evangelism is a gospel imperative, but the “making of disciples” entails their full enculturation into the Christian faith and not a single experience. Walking the aisle does not make you a Christian – it requires walking the way of the Cross. Mission is equally a gospel imperative, one that the Church has slowly and steadily fulfilled. Some areas where the Church was once planted now require the Church to be replanted. 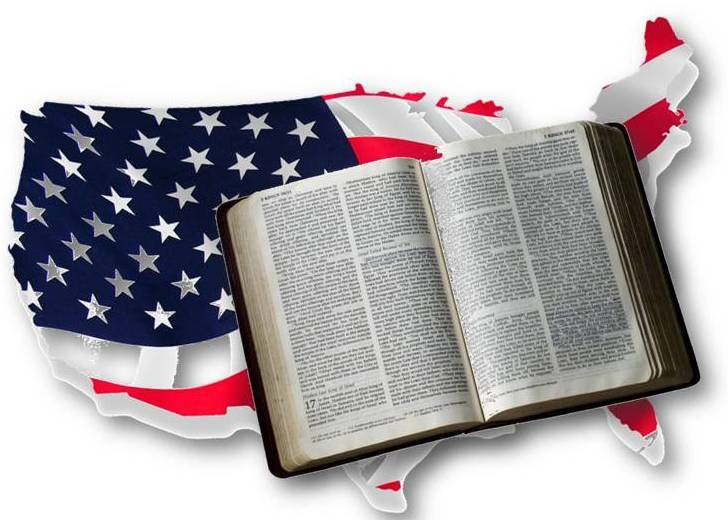 Some places, such as America, where a gospel has been preached, is almost entirely ignorant of the gospel – this will be proclaimed in time by the Church. There is no need for an ecumenical anxiety. Christ’s prayer for His disciples to be One has nothing to do with ecumenism and has no reference to present ecclesiology. The Eucharistic community of Christ, the ecclesia, is One and cannot be otherwise. We do not have a failure of ecumenism. We have long had a failure of ecclesiology. A Christianity that is largely without doctrine and sacrament is a Christianity of slogan and extravaganza. A “Churchless” Christianity is simply, a heresy. It is a strange reading of the New Testament with conclusions as novel as they are effective. It is also destructive of the long term health of the Christian faith. Many who grow tired of its slogans and extravaganza do not turn elsewhere – they turn nowhere. The fastest growing religious group in America is the unchurched. The truth and richness of the Christian faith is only found in the deep-woven fibers of the historic Church. The life of sacrament, rooted in a thoroughly Christianized network of families, parishes and monasteries, is the normative existence of the Christian faith. This is the faith that converted the Roman Empire and the barbarian ancestors of people like myself. From it grew a great civilization, one that has been challenged and dismantled at many points, but which has yet to disappear. It is probably the case that only a vibrant fullness of the Christian Church, that is itself sufficiently mature to be the bearer of a Christian ethos, is capable of surviving the onslaught of modern secularism. A Christianity of slogan and style will find itself swept away by more attractive slogans and styles. The promise of God regarding the gates of hell is given only to the Church – not a parachurch movement. For some, this reflection and its small history lesson will seem “old hat.” For many, this history isn’t known at all. Things have not always been as they are now, nor is everything now to be accepted at face value. To be the true disciple of Christ requires discernment and the acceptance of the gospel. It may also require the renunciation of modern attempts to reshape that work.